Ms. Preovolos is a litigation partner in the San Francisco office of Morrison & Foerster. She has extensive experience in antitrust, false advertising/unfair trade practice, and consumer class action litigation and counseling. She has served as lead counsel in a number of major antitrust, consumer class action, false advertising, and unfair competition cases, including two recent MDL proceedings. Ms. Preovolos has spoken and written extensively on antitrust, consumer class action, and unfair trade practice topics. She is listed by Chambers USA as one of California’s leading antitrust lawyers and is recommended by Practical Law Company’s Which lawyer? Yearbook as an antitrust practitioner. Ms. Preovolos served as co-chair of the firm’s Antitrust and Competition Group from 1990 to 2004 and as managing partner of the firm’s San Francisco office from 1995 to 1996. Ms. Preovolos became associated with Morrison & Foerster in 1980, and became a partner in 1985. 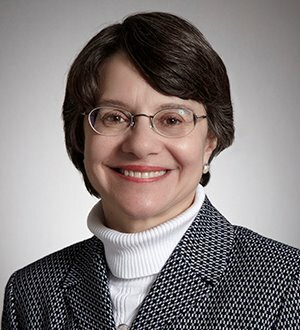 Ms. Preovolos served as Secretary (1993-1994) and Chair (1994-1995) of the Antitrust and Trade Regulation Section of the State Bar of California. She is a member of the Litigation and Antitrust Sections of the American Bar Association, and has served on the Ninth Circuit Advisory Committee on Rules of Practice & Internal Operating Procedures. She served for many years as a member of the board of the San Francisco Legal Services Foundation.